N’Golo Kante is playing a new role for Chelsea under new coach Maurizio Sarri and the midfielder's shift of position will have positive and negative consequences for the team, writes Adam Bate. 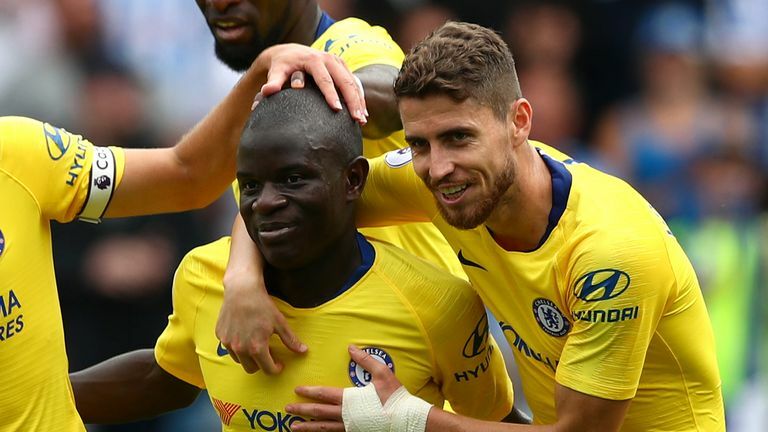 There had been some shock when N'Golo Kante popped up in the opposition box to force home the opening goal in Chelsea's 3-0 win at Huddersfield. But if anyone had suspected that this was merely a one-off, his performance in his team's 3-2 win over Arsenal on Saturday confirmed it was not. Kante has a very different role under Maurizio Sarri. 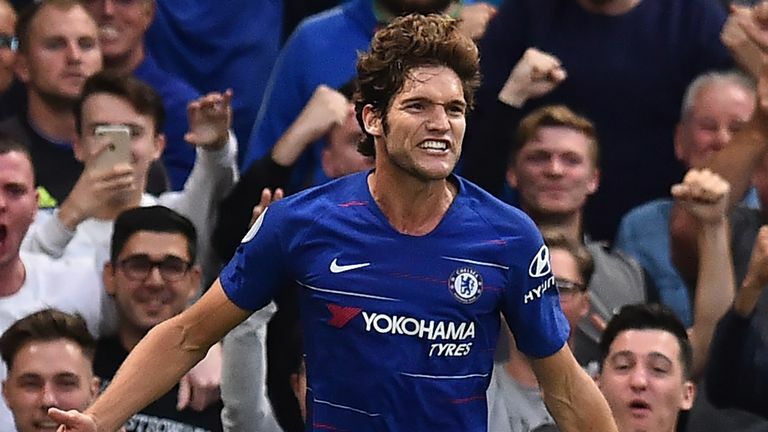 In the first half alone, there was a run down the right channel that set up a chance for Alvaro Morata and even a striker-like angled run in behind that broke the Arsenal offside trap. Soon after the interval, Kante had a goal-bound shot of his own blocked at point-blank range and later headed the ball over the bar from Pedro's left-wing cross. The energy was familiar - Kante covered 12.47 kilometres. What was different was where he was expending it. He certainly has the pace to cause problems in the final third as he is not an easy man to catch and having already matched his record goal haul for a Premier League season - one - it seems inevitable that he will improve on that tally. Kante's three shots against Arsenal were four times his average per 90 minutes last season and he created four chances for others too - more than any other Chelsea player. Even more unusually, he had five touches in the opposition box. That is almost 10 times his average from last season. The most he managed in any of those games was just two. It suits Sarri to have such an aggressive presser of the ball in advanced areas. Jorginho was also the deepest midfielder in his Napoli team but he used Allan to good effect, shuttling up and down the right channel as a box-to-box midfielder, while Marek Hamsik drifted to the left. It seems that Kante has been earmarked for a similar role at Chelsea. "He is playing like a centre right-midfielder and I am very happy for the performance of Kante," said Sarri after the Huddersfield game. "I am really very impressed." Any opponent hoping to have comfortable possession against Chelsea is going to struggle to get that now that Kante has been freed up from his defensive duties to go hunting for the ball. "It's a new manager, a new system," Kante himself explained last week. "I play a little bit more forward. I try to find the striker, to be more offensive, to cause problems for the opponents. I need to adapt in this role and I will give my best in this position for the team and I hope we can keep doing good things for the future." It has been an encouraging start but there are still concerns. Sarri himself noted there was a "horrible" quarter-of-an-hour period in the game against Arsenal and while the hope will be that it is not systemic, removing Kante from his holding-midfield position does present an opportunity that Chelsea's opponents will surely look to exploit. Jorginho has many fine qualities but tracking runners does not appear to be a particular strength. The Italy international is a deep-lying playmaker, at his best when in possession of the ball, dictating the play for his team. He made 99 passes against Arsenal and changes the look and feel of this Chelsea side. But snuffing out danger is important too. In the opening game of the season against Huddersfield, Jorginho did not make a single interception. That only happened with Kante once in 16 Premier League away games last season - and he made six tackles in that match. Against Arsenal, it was a similar story for Jorginho - just one interception and one tackle. It was too easy for the Gunners to play. Kante, perhaps the outstanding midfielder of his type in the world, cannot have the same defensive influence now. Against Huddersfield, he made only one tackle - something that happened only twice in the 30 full Premier League games that he played last season. Against Arsenal, he managed three but this was still below his average from the previous campaign. More shots and more chances created but fewer tackles and interceptions. That is the trade-off Sarri is accepting when shifting Kante's position to accommodate the man who made his Napoli team tick. It should make Chelsea a better passing team and a more dynamic one. But it is a tweak that could also leave them exposed defensively. Contrary to popular belief, Kante cannot be everywhere at once.